Roller blinds in Melbourne and Victoria are one of the most popular blinds on the market. These blinds provide ease of use, economical value and can generally be matched to suit any room in your home or business environment. With such a wide range of choices available when it comes to roller blinds in Melbourne, shopping around can get confusing. Here are some helpful hints to keep in mind when considering roller blind for your property in Melbourne or Victoria. Are you looking for blinds which will offer complete privacy? Or maybe you are hoping to maximise on the outdoor view whilst preventing sun glare in your living area? Is your bathroom due for new blind and you require an easy to clean and durable option? Believe it or not there is a perfectly practical and functional blind for every checklist. Roller blinds are versatile and in Melbourne, block out roller blinds and dual roller blinds are usually chosen for offering flexibility on light control, privacy and minimalistic appearance. You will notice that throughout Melbourne, there are roller blind suppliers offering very cheap products. Be careful. Although roller blinds are a great budget option, it is best to buy them from a reputable company who offers guarantees and prides themselves on quality. 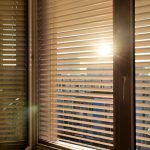 Keep in mind that blinds are an investment for your properties’ comfort, ambience and practical living. You do not want to have to replace them frequently. It is more cost efficient to order and install blind in more than one room at a time. Experienced blinds companies are inclined to offer good deals on measuring and installation if you are purchasing blind for more than one window. Choosing to upgrade or install new blinds can totally enhance the look and feel of your Melbourne home or business, so when making the decision to do so, you would be wise to go bulk. We live in a very visual world, where we are quick to judge based on what we see. But when it comes to roller blind, there are hundreds of different materials, colours and transparencies which all look different in different spaces. Professional blind companies are usually well trained in helping to advise what style roller blind will suit your Melbourne property, so it is worth being imaginative and knowing that there are always variations available.